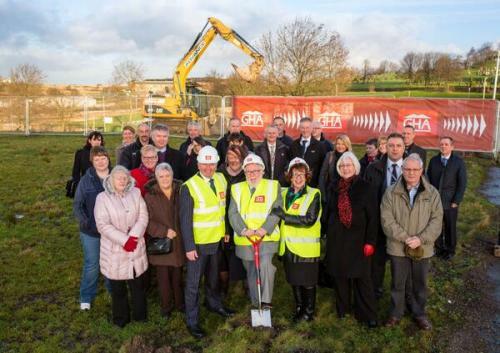 The clod cutting ceremony took place today for GHA’s development in Sighthill. Designed by Collective Architecture, the scheme will provide homes for 141 residents of Sighthill, with a mixture of 3 and 4 storey flats and houses. The ceremony was attended by Councillor Gordon Matheson who cut the first piece of turf, alongside future residents, representatives from GHA and CCG and Project Architects Fiona Welch and Mairi Laverty.